Transcribing interviews can be a mammoth task for Phd students. Estimates floating around on the internet have it that transcribing one hour of interview takes between 2 and 4 hours. Getting the job done professionally can be prohibitively expensive, so it becomes an unavoidable task. Transcribing 60 2-3 hour-long interviews seems like the kind of work that could keep a team of people occupied for a couple of weeks. It takes so long, that I felt there must surely be an easier way. Apparently there isn’t, but having the right tools for the job helps. This post is about finding those tools and setting them up. I had done some transcription using Scrivener, but when I had a look at the transcription options in Nvivo, it seemed like the better option. Nvivo has the key things which make transcribing easier; time stamps are added automatically; the transcript is indexed to the sound file making it easy to find the bit of audio you want; and you can slow the audio down. Also, as I am using Nvivo for storing files and organising my fieldwork, I wanted to continue using the same programme; everything in one place is my preferred organisational method. As I had found using the keyboard to control the audio file while typing a bit cumbersome, I decided to use a foot pedal. This involves getting the foot pedal to work with the pre-programmed keyboard commands which are set in Nvivo, and usually requires a bit of software to do it. For PC users there is a software called Pedable, and Mac users can use EasyScribe, however it’s not cheap and it means that you have to transcribe outside of Nvivo. 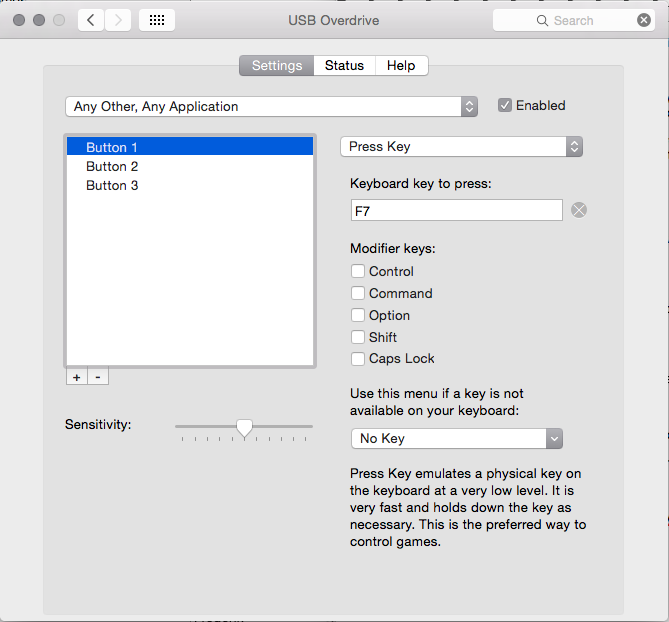 The rest of this post is a guest post by Justin Clarke who set up the Infintiy USB-2 foot pedal with Nvivo using USB Overdrive. Firstly, we are using an Infinity IN-USB-2 USB footpedal that we purchased from Amazon. We chose this model as it seemed to have good reviews from the majority of people using it, although most people seem to be using it with EasyScribe instead of what we want to do with it – use it with NVivo. We’re using NVivo for the Mac, version 10.2.0. As opposed to software like EasyScribe, which comes with software support for a number of USB foot pedals, NVivo doesn’t. Therefore we needed some software that would translate the presses of the various “buttons” of the foot pedal (the Infinity pedal has 3 different “buttons” that we can program – a bigger central button, and two smaller buttons on either side) into keyboard shortcuts that NVivo can understand. The software that we found that will do this on the Mac is USB Overdrive, a $20 shareware program. We’re using USB Overdrive 3.1. 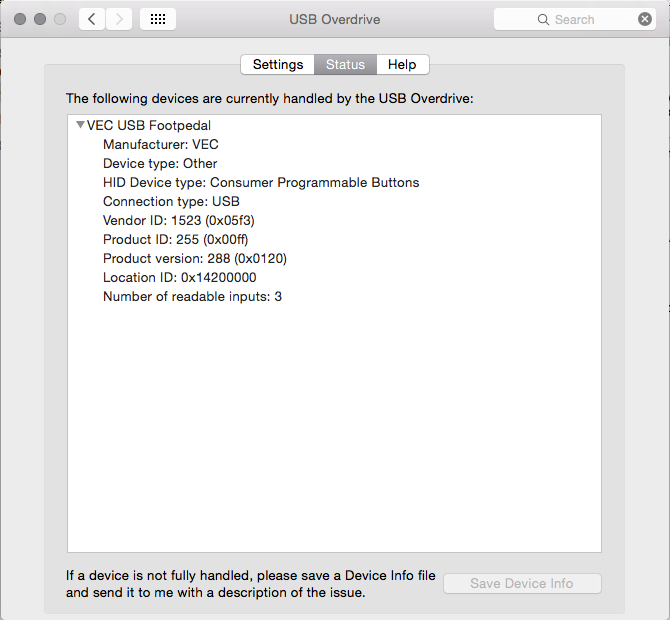 After installing USB Overdrive, you’ll be prompted to reboot. 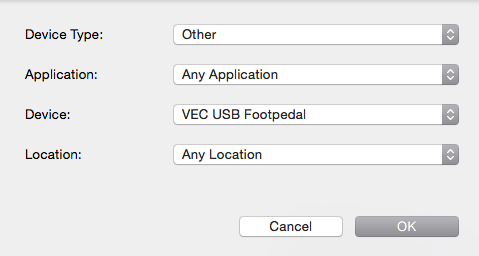 After your Mac reboots you should have the USB Overdrive helper application popup, which will allow you to configure your foot pedal. 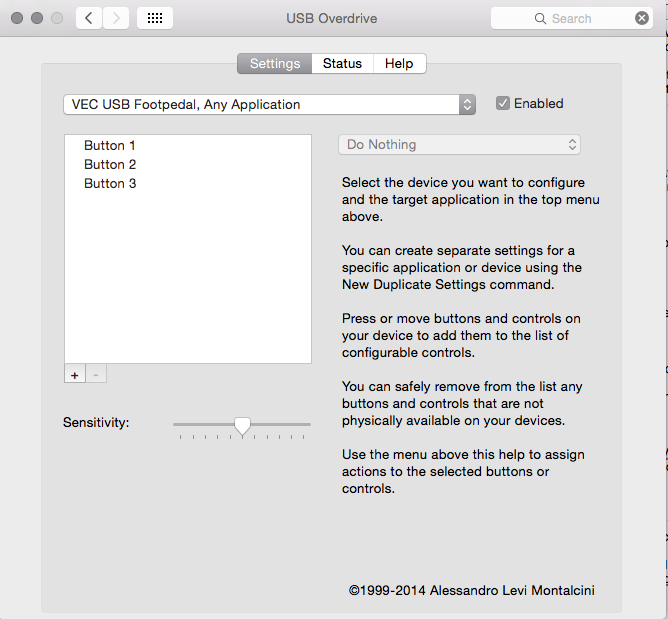 This helper application can later be run from the System Preferences panel installed by USB Overdrive. At this point it took us some time to figure out how to configure the various inputs on the pedal, however we configured as follows. 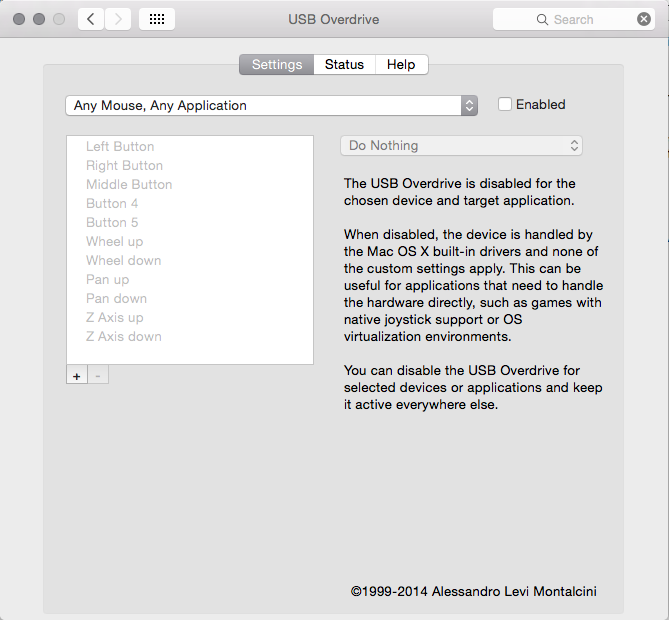 1) With the foot pedal plugged into the Mac, we selected “Any Other, Any Application” from the drop down menu, as the Infinity foot pedal doesn’t appear to be classed as a mouse, gaming device or keyboard by USB Overdrive. 2) With this profile enabled, we pressed each button on the foot pedal. As these weren’t previously recognised by USB Overdrive it added 3 new buttons – called Button 1, Button 2 and Button 3. 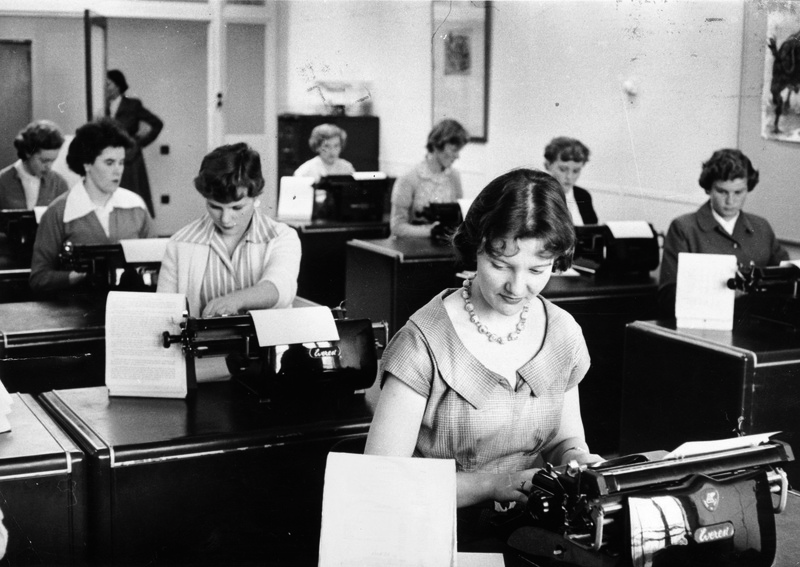 4) We then configured each of the buttons to be one of the NVivo keyboard shortcuts we wanted. Button 1 is configured as a press of the F7 function key (skip backwards in NVivo), by selecting “Press Key” from the menu of actions, and selecting F7 from the list of untypeable keys in the dropdown menu at the bottom. 5) Equally we setup Button 2 as Command-Shift-I (add a new transcription line) and Button 3 as F8 (play/pause transcription audio in NVivo). NVivo has a complete list of keyboard shortcuts that you could use here – you could change any or all of these to fit what you’d rather have your various foot pedal buttons do. 6) Lastly, we created a specific configuration for the foot pedal using the drop down menu at the top, selecting “New Duplicate Settings”, setting this to use the foot pedal with the configuration we’d setup. In our case we didn’t limit this configuration to specifically working with NVivo only, however that is an option you could try if needed (for example to avoid accidentally starting/pausing iTunes content). 7) Once this was done, we made sure that only the new configuration was enabled (and all other configurations were disabled), and voila – it works! Hopefully this helps all of you who might be trying to use NVivo for the Mac for your transcriptions.